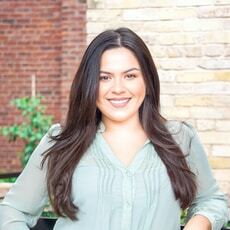 Samantha was born in the small town of Eagle Pass, TX and recently decided to make San Antonio her home. She has lived in different parts of the US, including Wyoming, North Carolina, and Louisiana, due to her father’s military service. She earned a Bachelor’s degree in Psychology from Texas State University, after which she moved to Denver, Colorado for several years before returning to Texas. While living in Denver, Samantha gained invaluable property management experience while supervising a leasing department of over 700 units. She also worked closely with Realtors in assisting first-time homebuyers, investors, and seasoned homebuyers. Now as a licensed agent she is looking forward to making an impact in helping families find the perfect home – whether it be their first or one of many. Samantha’s free time is spent trying new restaurants, attending events and festivals around San Antonio, and fishing the Texas coast with her significant other, Joseph and their son, Atlas.